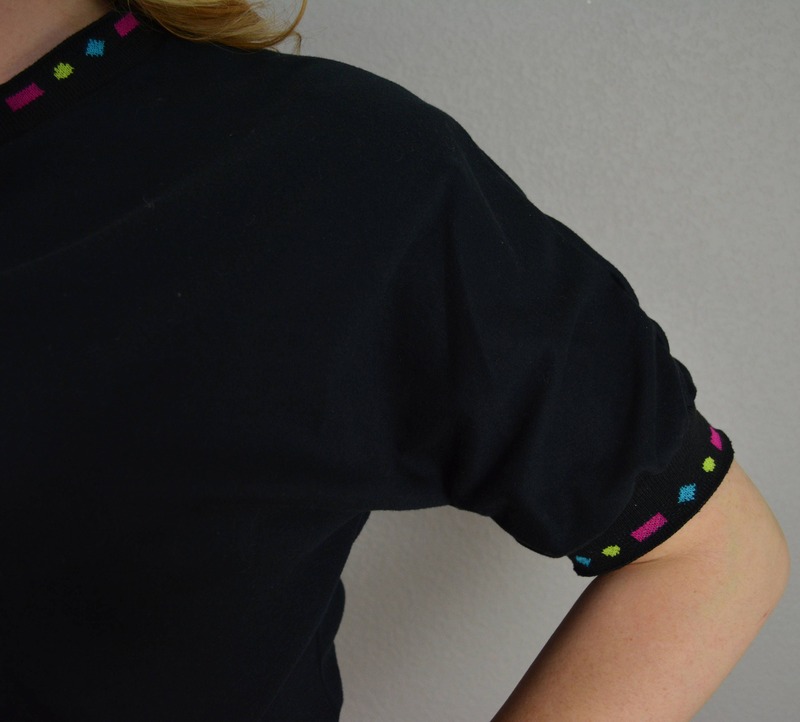 Very cute 80's geometric print t-shirt. 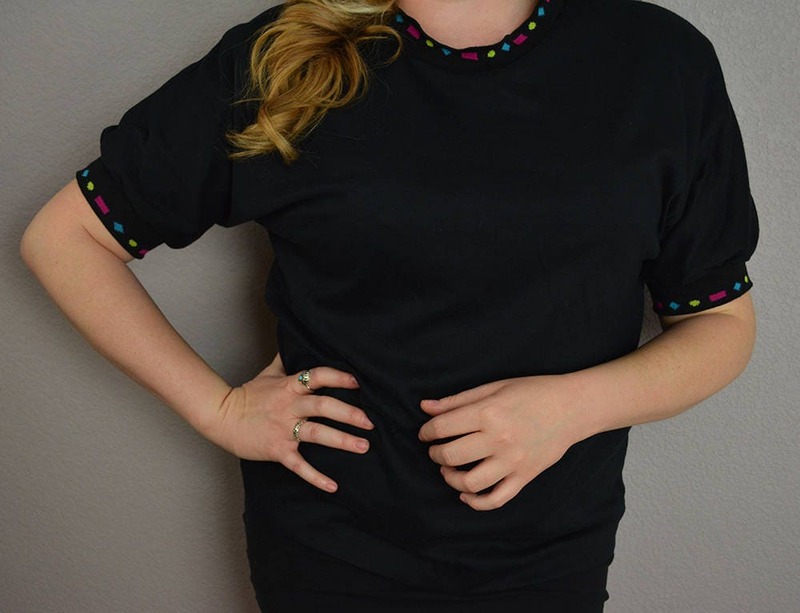 The shirt is solid black with the shapes print on the collar and the sleeves. 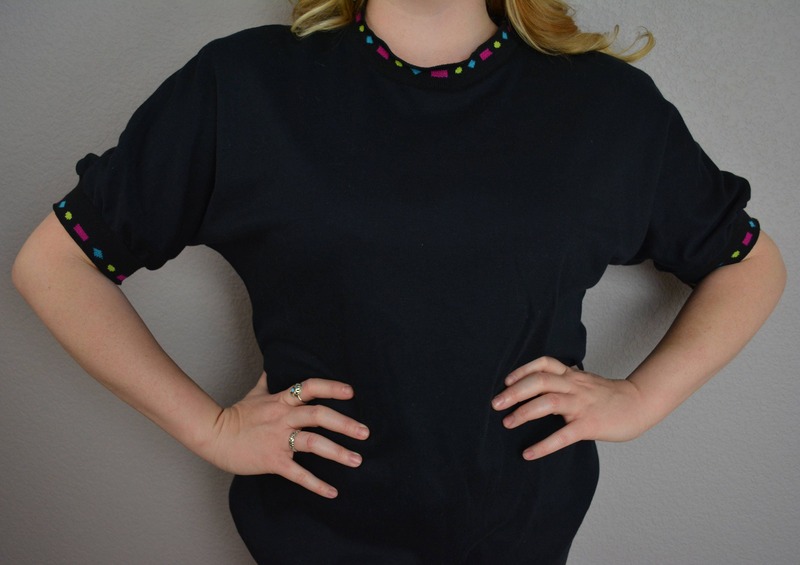 This would be super adorable with some jeans and some 80's high tops. It is in excellent vintage condition. It does have small shoulder pads inside but they could be cut out. The material is so soft and comfy! Perfect for those casual days. Size: The size tag is cut out, but I would classify as it as a medium to large. Please refer to the measurements to ensure desired fit.